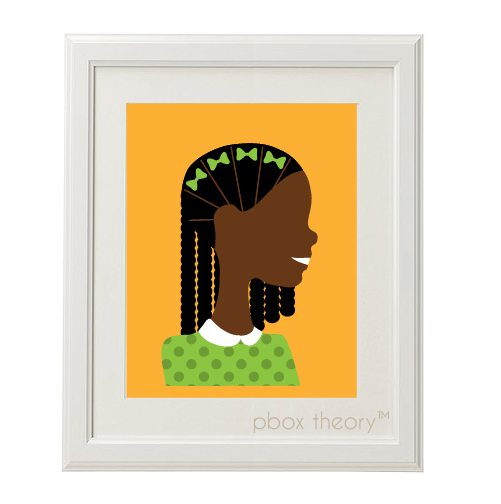 With braids and bows just so, and a green polka dot sweater, this cutie can be personalized with skintone, hair color, background and name or phrase of your choice. This digital artwork is printed on 8.5 in x 11 in matte photo paper with archival inks, and may be trimmed to size. Print ships flat, priority mail. Frame not included.